DES MOINES, Iowa – Pity the Powerball and Mega Millions lottery game winners. Federal tax law changes would seem to promise that those who beat the odds and win a jackpot could keep more of their winnings from the government. But even as the new law cut top federal income tax rates, it also reduced the ability to deduct state taxes. There are exceptions, as 10 states including California, Texas and Florida don’t tax lottery winnings. But in most of the country, the newly rich won’t be even richer because of the tax law. 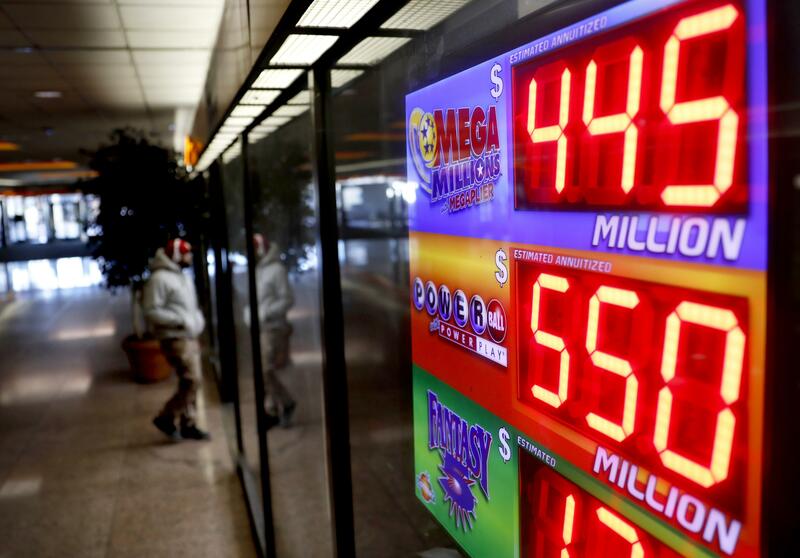 The issue arises because federal income tax bracket changes approved by Congress and signed into law by President Donald Trump last month take effect at a time when jackpots for the nation’s two national lotteries have grown enormous. The Mega Millions game will offer a $445 million prize for Friday’s drawing, and the Powerball game’s top prize has reached $550 million for Saturday night’s drawing. The chances of winning the jackpots are incredibly small, at about one in 302 million for Mega Millions and one in 292 million for Powerball. Even for those who beat the odds, they might find that their dream paycheck is smaller than they thought. In part, that’s because nearly all winners take the cash option. For Friday’s Mega Millions prize, that would mean winning not the much-trumpeted $445 million annuity paid over 29 years but $277 million in cash. Of that, 37 percent, or about $102.5 million would be owed to the federal government in taxes. That’s a savings of about $7 million from the old tax rate of 39.6 percent, but factoring in the state deduction change would wipe out the bonus. Under the old law, unlimited state income taxes could be deducted from federal taxes, but that deduction is now capped at $10,000. State lottery taxes vary from about 3 percent to more than 8 percent, so on a $277 million cash prize, a winner’s tax bill could climb by $15 million or more. For someone suddenly showered with newfound wealth, would a few million more or less matter? Yes, said San Francisco tax attorney Robert Wood. For those mulling ways to avoid taxes, experts say, don’t count on it. Federal law lets people deduct up to 60 percent of their adjusted gross income to a recognized nonprofit, but for those not feeling so charitable, there’s no way around the tax bill. Published: Jan. 5, 2018, 10:18 a.m.